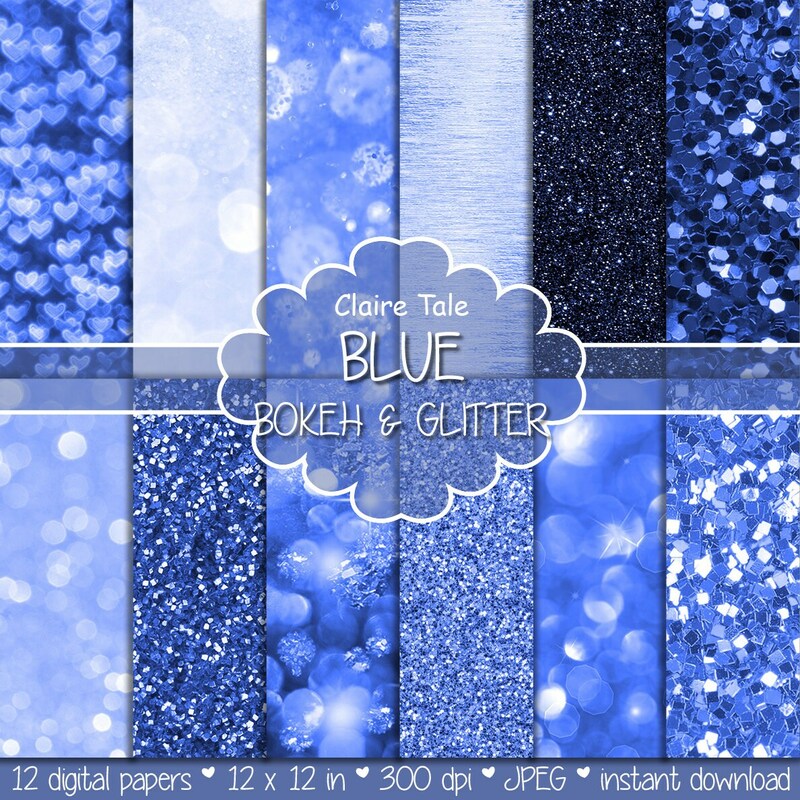 12 blue digital papers: "BLUE GLITTER & BOKEH" with blue glitter background and blue bokeh background for photographers and scrapbooking. Perfect for scrapbooking, invitations, announcements, anniversaries, birthdays, party themes, stationary and paper crafts. Ready for immediate print and digital use. These files are available for instant download. Once payment is confirmed, you will receive notice with your download link to your Etsy e-mail. For personal and small business use only. See shop policy for more details. To fulfil your order, you must provide me with certain information (which you authorised Etsy to provide to me), such as your name, email address, postal address, payment information, and the details of the product that you’re ordering. You may also choose to provide me with additional personal information (for a custom order, for example) if you contact me directly. I may store and process your information through third-party hosting services in the US and other jurisdictions. As a result, I may transfer your personal information to a jurisdiction with different data protection and government surveillance laws than your jurisdiction. If I am deemed to transfer information about you outside of the EU, I rely on Privacy Shield as the legal basis for the transfer. For purposes of EU data protection law, I, Claire Tale, am the data controller of your personal information. If you have any questions or concerns, you may contact me at info@clairetale.com. Digital paper looks great, thanks!